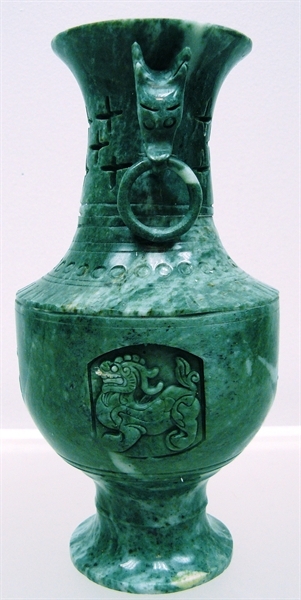 SIZE: DIAMETER 5", HIGH 9.5"
This is a Flower Vase, made from solid piece of jade. It is hollow inside. 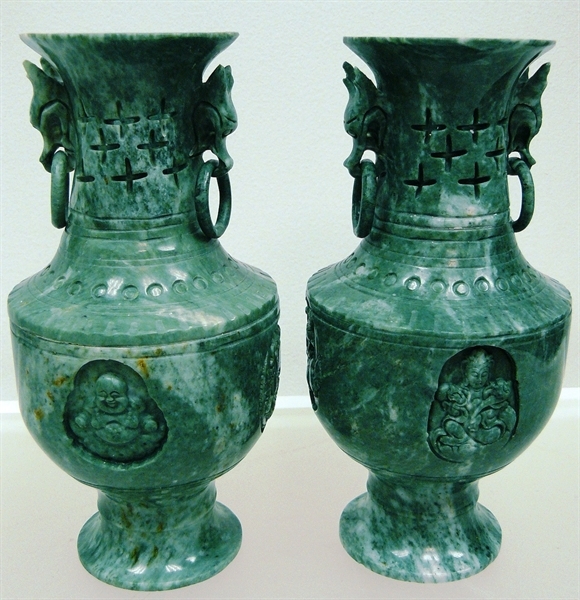 On the neck of th vase, there are 2 Dragon heads carved, with 2 rings haning on. On the body, there are BUDDHA, KWANYIN, DRAGON and PIXIU / KYLIN. All hand carved with details.